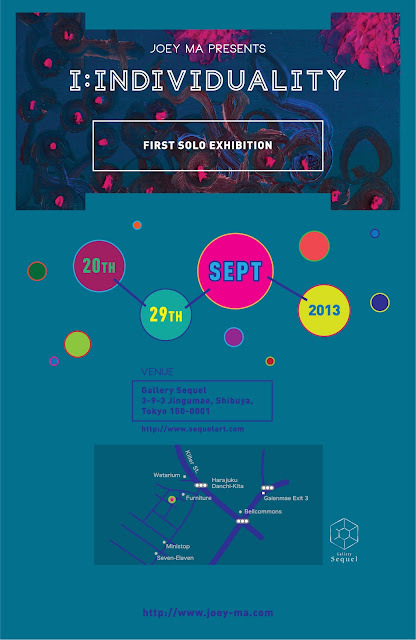 I N D I V I D U A L I T Y: My first solo exhibiton of my oil paintings "I:Individuality" in Gallery Sequel, Tokyo, from Sept 20th - 29th, 2013. 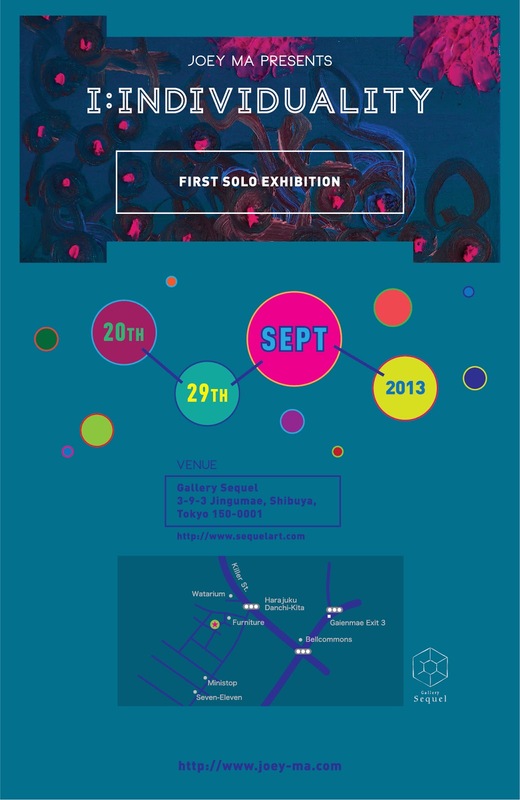 My first solo exhibiton of my oil paintings "I:Individuality" in Gallery Sequel, Tokyo, from Sept 20th - 29th, 2013. Exactly one month from now, my first solo exhibition of my oil paintings, “I:Individuality” will be showing in Gallery Sequel, Tokyo. 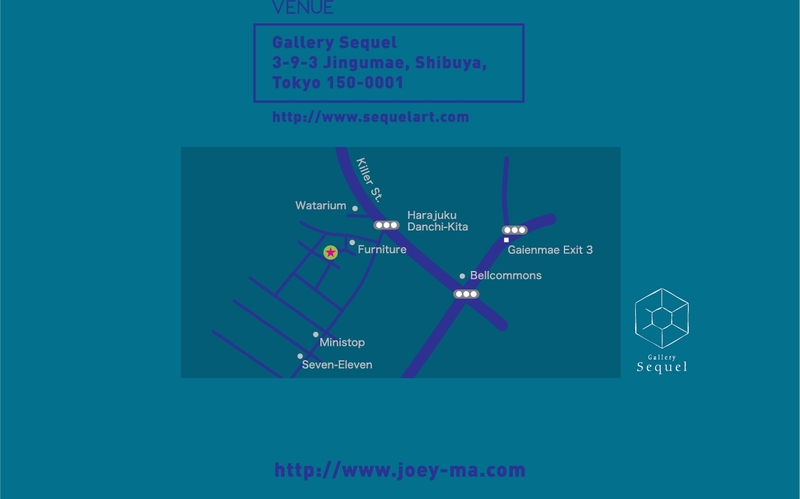 The opening will be on Spetember 20th, 17:00 - 20:00, if you will be around in Tokyo at that time, please do come! I never share my painter side with anyone else because it is very private to me, however, I think the right time has come, so I am ready to show the world what my ultimate dream is... I am very grateful. 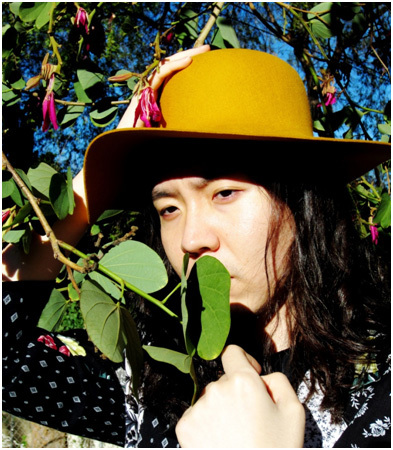 我從來都沒有跟别人說畫畫是我最愛的興趣…… 我也從來没有想過我最大的夢想將會在一個月後實現。如果你們在九月二十到二十九號的期間剛好在東京的話，希望你們能來參觀我的畫展。畫畫對我來說是一件非 常私人的事情，所以我用了很大的勇氣去做這個決定。我不喜歡分享我的個人想法，所以很害怕透過我的畫去讓别人了解我。但我在想這個機會真的是一生人只有一 次，所以一定要好好把握，希望你們一定也要把握每個機會，去實現自己的夢想！If I can do it, so can you! It is so cool to see my profile in Japanese! I am just soooooo grateful about everything that has been going on in my life.